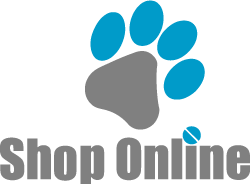 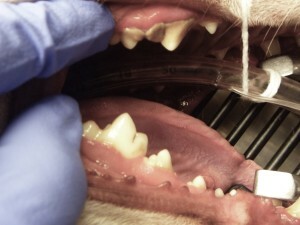 Stage 1 Dental Cleaning – Plaque, tartar, mild calculus and minimal to no gingivitis. 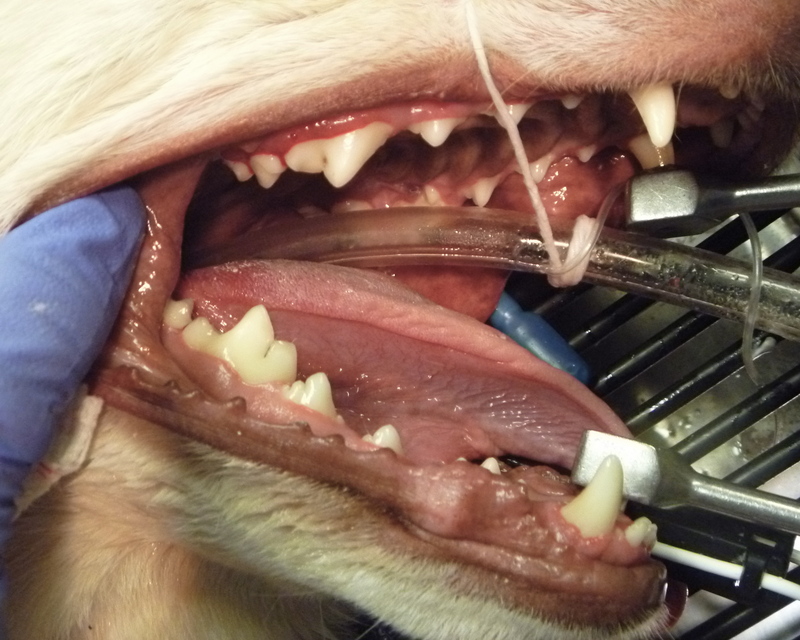 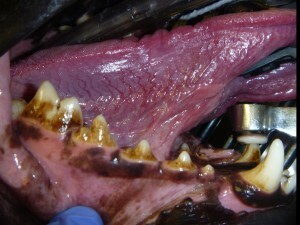 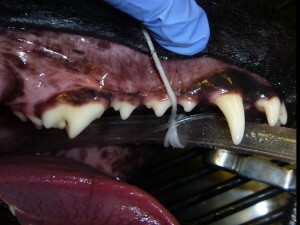 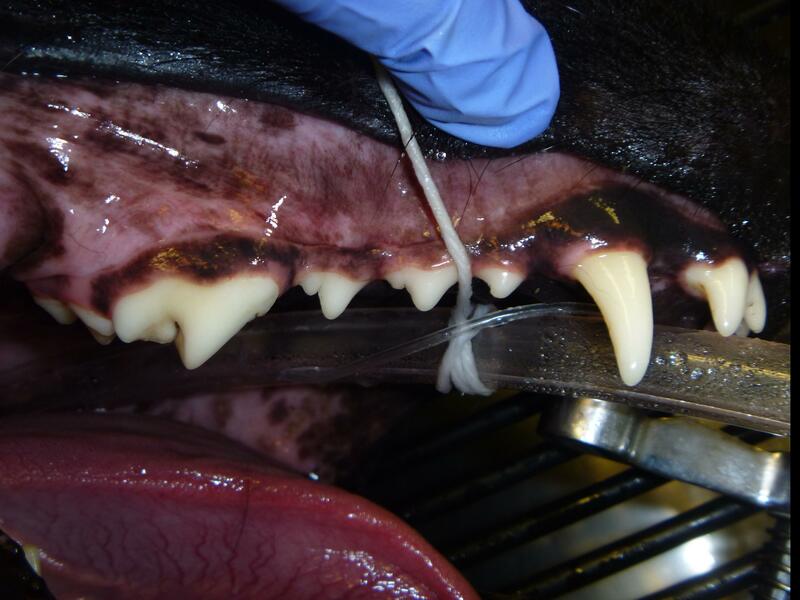 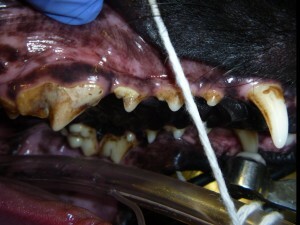 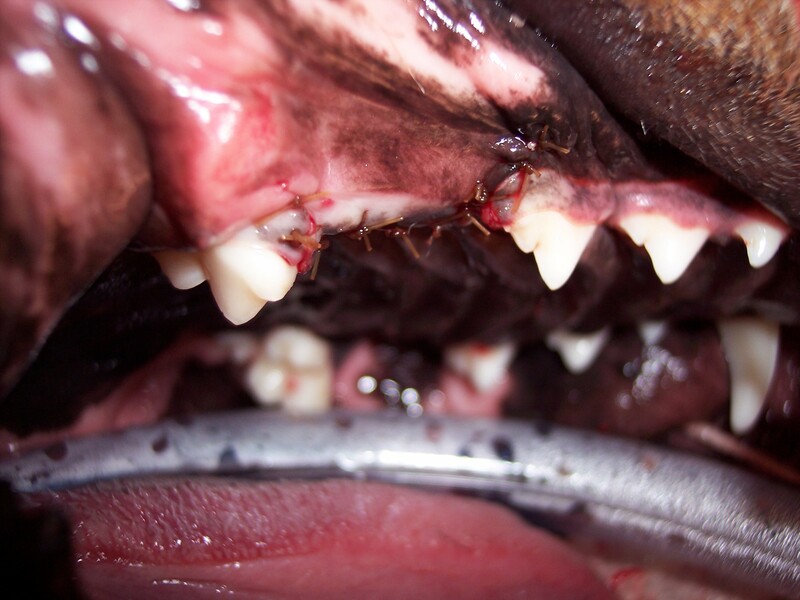 Stage 2 Dental Cleaning – Heavy tartar and calculus with associated gingivitis. 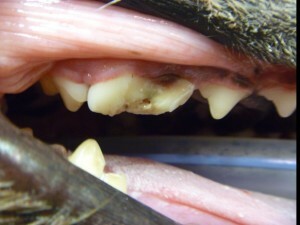 Who thinks this tooth should be extracted? 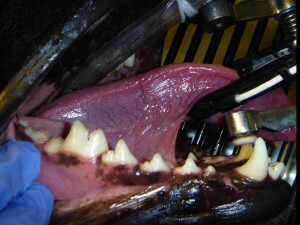 Post extraction of the 4th premolar…..a very big tooth.